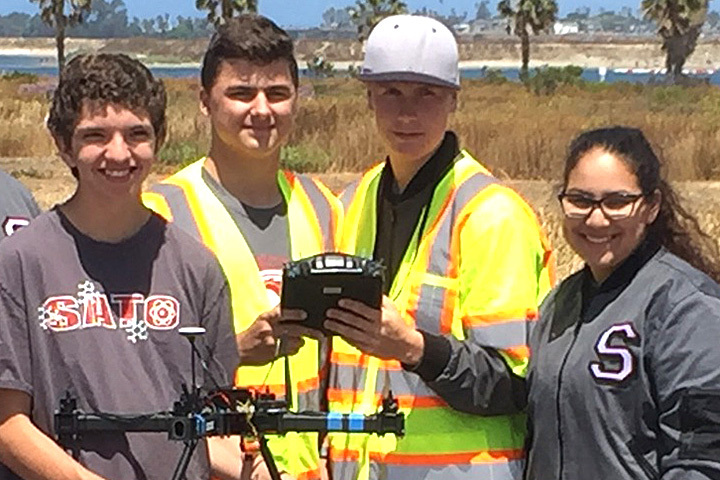 Students from Sato Academy of Mathematics and Science placed first at a recent drone contest in San Diego, qualifying for national competition. The UAS4STEM contests are organized by the Academy of Model Aeronautics, which is the largest association of model aircraft and drone hobbyists with more than 190,000 members nationwide. UAS stands for Unmanned Aircraft System. The aim of the program is to educate students about science, technology, math and engineering (STEM) via aviation. Student teams build their own drones and compete in various flying challenges. Sato’s winning team included students Tasha Adler, Melissa Bueso, Jacob Cook, Bence Kiraly and Eddie Tegtmeier. Teacher Albert Gallo is the group’s adviser, along with volunteer co-adviser Will Chesher. The national competition will be held Aug. 20 to 21 at the International Aeromodeling Center in Muncie, Indiana. 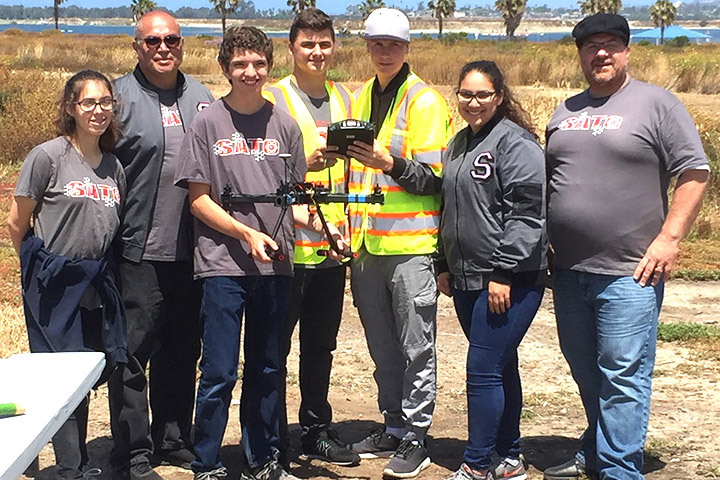 WINNING DRONE – Sato Academy’s Drone Team placed first at a recent contest in San Diego, qualifying for a national competition in Indiana. The drone contests are organized by the Academy of Model Aeronautics to teach students about science, technology, engineering and math.